Oh yes! We do love a mythical creature or two, particularly when they're presented in a gorgeous book like this. 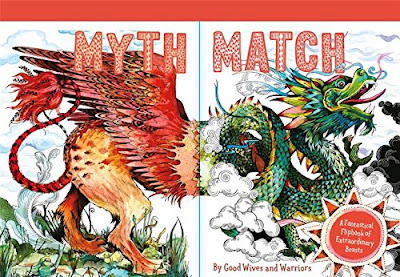 Our second Picture Book of the Week this week is the fantastic "Myth Match" by Good Wives and Warriors. Up till last week there was always one childhood comic obsession I never revisited for many, many reasons. I'd left 2000AD alone for years, giving up the regular prog and Judge Dredd Megazine habit some time around moving to Brighton in the mid 90s, never to pick it back up again. 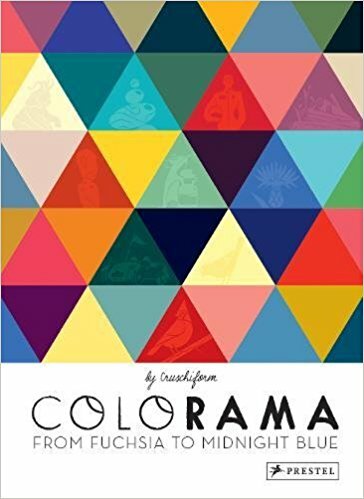 Something seemed to happen to the progs in the 90s, I felt like things had gone off the rails and I'd shuffled off to cooler (short lived) climes such as reading stuff like Deadline before giving comics up for good around the time I got seriously back into work and stopped being an art student. To this day I've no idea why I stopped reading comics and graphic novels but looking back I realised it was more a question of having next to no spare time rather than totally disowning comics altogether. 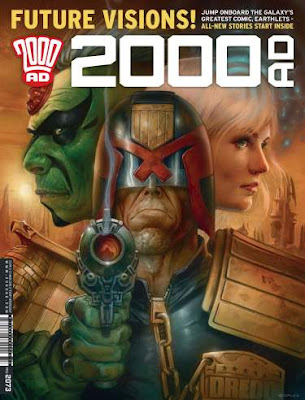 2000AD (now owned and published by Rebellion) has kept the highest of high standards going for 40 years, seemingly with ease and when last week's issue kicked off with all new stories I felt like it was time to jump back in - for one issue at least. Back in the day I was PROPERLY obsessed with this comic. I bought Prog 1 the day after my birthday back in 1977 with my meagre birthday cash and still had enough money left over for an obscenely large bag of Fizz Bombs (my tooth-rot of choice back then) and a Matchbox car. I was hooked from the word go, and into the 80s I started to draw characters from the comics regularly, even taking on a nickname once 'online' became a thing, nicking P.J. Maybe as an assumed monicker, purely because that nefarious psychotic maniac's name was weirdly close to my own (middle name isn't Janet though, just for ref). I grew up with the comic, watched some of its most amazing talent leave for the US (and to a certain extent I followed their moves to other studios and read pretty much anything Bolland was involved in art-wise including his phenomenal "Batman: The Killing Joke" for DC. When my daughter was born I started to read comics again, realising that a little girl who loved stories might find a lot of love for comics as well (thankfully that panned out rather well with her sharing her old man's obsession with comics as an art form, a storytelling medium and a vitally important part of our culture). 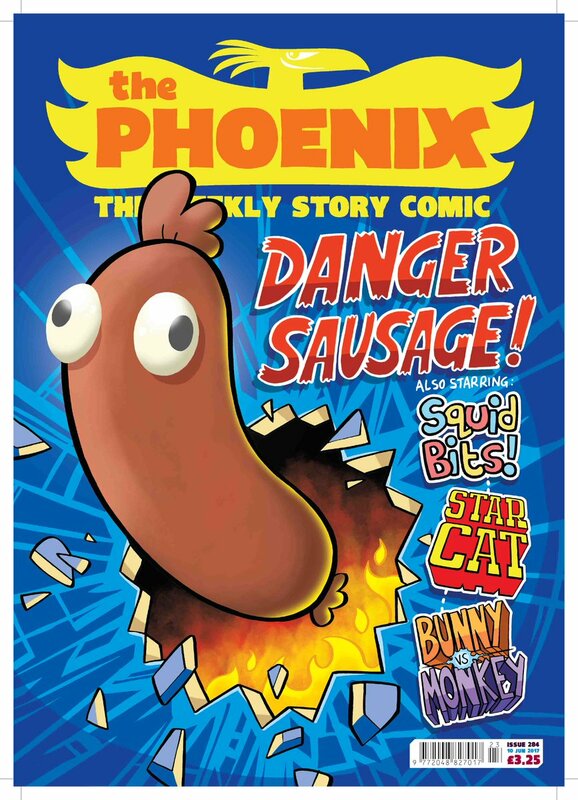 C's comic of choice is another mighty Brit comic - "The Phoenix"
Taking a similar approach to 2000AD, it's fairly heavy on sci-fi and fantasy stories, often with an anarchic sense of humour just like 2000AD, and with a hugely talented bunch of artists and writers working on it - again just like the progs. Through introducing her to the Phoenix early on and letting her 'own' that comic as her first proper comic love, she's since been introduced to all things DC and Marvel, a truckload of excellent independents and a few carefully chosen age appropriate classics to mix in with some of the truly stunning stuff kids get to read these days (the likes of Hilda, Gum Girl, Red's Planet and so many others really do make it feel like comics are truly going through an amazing time at the moment and riding a wave of popularity that I hope continues for aeons). Like most comic fans, I'm exceptionally good at letting stupid comments about "Still reading comics at the age of 50" wash right over me. Like there was ever a cut-off date where it became unacceptable to read them, play with lego or play videogames. Comics to me are still one of the most important ways that artists, writers and other creatives can push across important messages. Sometimes in the form of parody. Sometimes in the form of comic anthologies, graphic novels or story arcs for existing characters that reference and riff on the world we know today - sometimes exaggerating it, but quite often presenting the world as it stands - a sometimes deeply weird, dark and crazy place. Picking up Prog 2073 of 2000AD was like coming home. All the exceptional talent I was familiar with back as a kid (the ones that are alive, at least) are still hanging on in there but the new blood are equally impressive, not only paying homage to those characters, story worlds and ideas but carving out incredible strips and stories of their own. 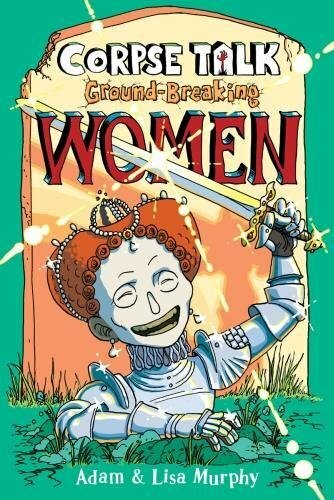 It has morphed into a comic that feels more properly 'grown up' than ever (though that was never 2000AD's problem, you could never really lump it in with other 'kid' comics that were around at the time the first progs hit shelves). The new Judge Dredd strip featuring the nefarious SJS is truly fantastic (I'd not come across Judge Pin before but can't wait to see what that psychotic lunatic comes up with in this story run) and the alternative timeline story based in the Rogue Trooper universe is utterly compelling too. Though I still miss rifling through comics in paper form (it's just not practical to do so any more - gone are the days where I could stack progs in thick bundles wrapped in plastic under my bed) digital has at least allowed me to play catchup with stuff I missed during those wilderness years. I almost feel like a 9 year old again, anxiously waiting for the next issue to drop. If you're like me, a lapsed Squaxx Dex Thargo it might be time to jump back in yourself. Bring it on! 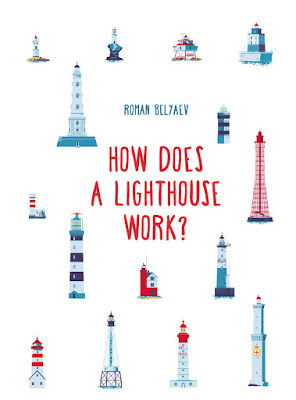 Let's start off this month's chapter book roundup with an incredible adventure out to sea. 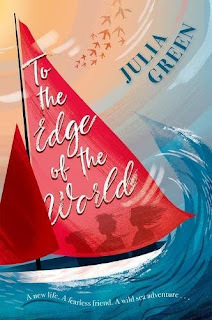 Julia Green's "To the Edge of the World" is a truly beautifully written tale of courage, friendship, and survival. Imagine a tiny island far out in the Atlantic Ocean off the west coast of Scotland. On some days, you can hardly see where the sea ends and the land begins, everything merged in a blue-grey mist of sea spray and wind-blown sand with hardly another soul to be seen. Sounds like bliss, right? There is nothing between here and America. ...And about sixty-five kilometres out to sea, one last remote outcrop of islands and sea stacks, with the highest sea cliffs anywhere in the UK-St Kilda. Distant, desolate, and difficult to reach. 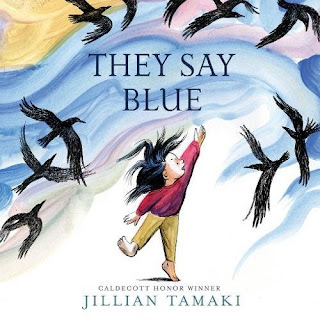 The islands at the edge of the world and this is the setting for a wild story of friendship, new lives and a plucky pair who will stop at nothing to find those islands for themselves. "To the Edge of the World" by Julia Green is out on 1st April 2018, published by OUP / Oxford Children's Books. 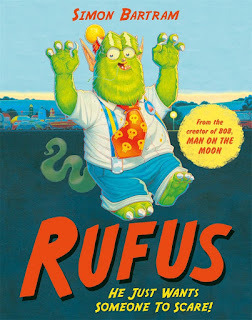 "Planet Stan" by Elaine Wickson and Chris Judge will definitely catch your eye with its cover. Sometimes the only way to make any sense of life is to put it all into charts and diagrams. 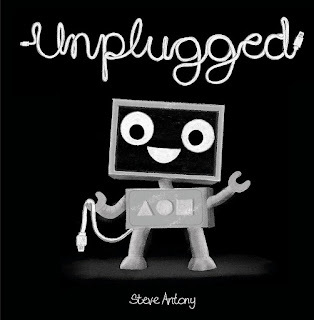 This is the story of Stan - who has built a survival guide for kids that most of us might find some useful survival tips in. 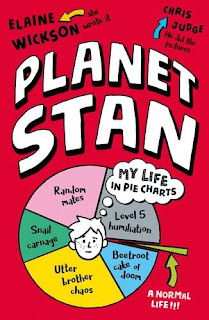 Stan loves everything to do with space, along with a calming, ordered environment, pie charts, and Venn diagrams. 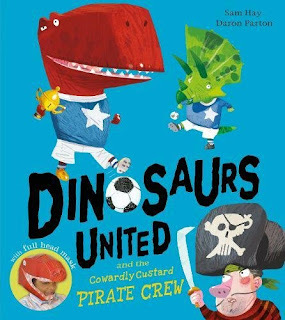 His dinosaur-loving younger brother Fred is the opposite: chaotic, messy, prone to leaving snails under Stan's bed and ladybirds in his lunchbox. Surely they must have something in common? 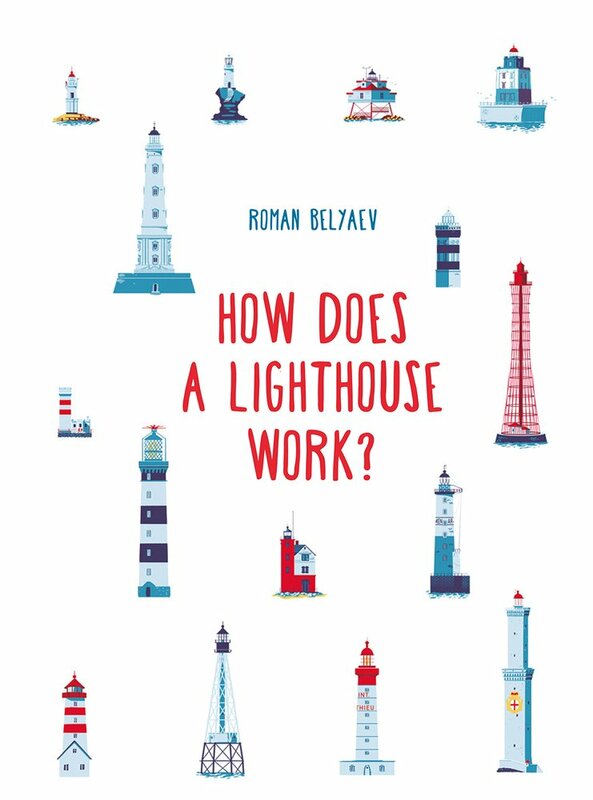 As Stanley struggles to cope with his high maintenance brother and his hair-brained schemes he charts all the ups and downs of his life in a series of hilarious infographics in this highly-illustrated and visually-appealing book. It's like nothing we've ever seen before, in a really good way. 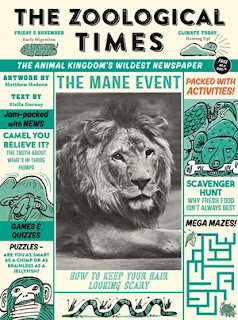 Brilliantly funny, and the various pie charts and infographics are deucedly clever indeed! "Planet Stan" by Elaine Wickson and Chris Judge is out on 1st April 2018, published by OUP / Oxford Children's Books. 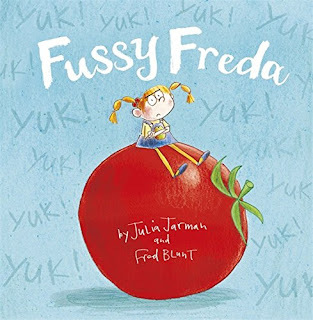 In "Elise and the Second Hand Dog" by Bjarne Reuter (translated by Sian Mackie) with illustrations by Kirsten Raagaard we meet a little girl with a problem. Her mum is far away in Brazil helping to finish the building of a suspension bridge and her dad is busy trying to get by as a musician in the Danish city of Copenhagen where they live. So when Elise asks for a dog to keep her company, her dad finds it hard to refuse. But the dog that Elise ends up with is no ordinary dog. 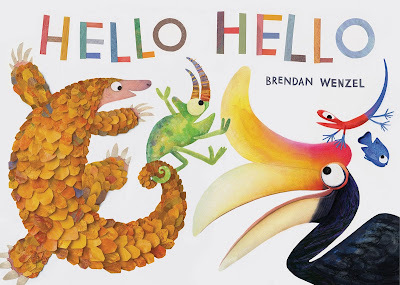 He is second-hand, he looks like an ugly rabbit, he smells of cheese…and he can talk! What's more, the two are destined to have adventures that Elise couldn't even dream of. 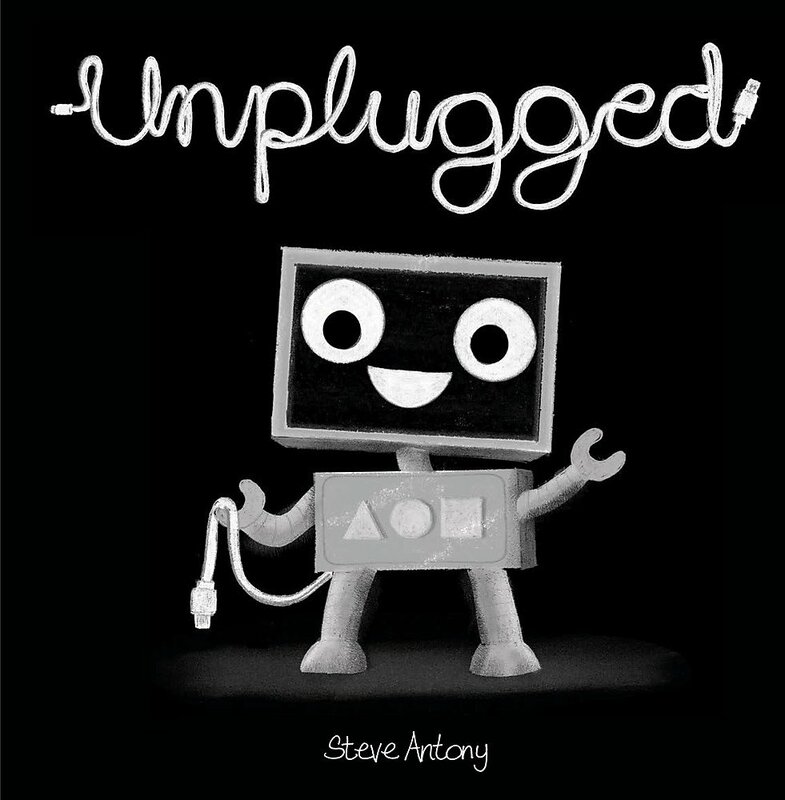 Hugely original, touching and page-turningly compelling, this is excellent stuff. 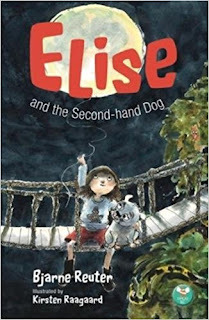 "Elise and the Second Hand Dog" by Bjarne Reuter (translated by Sian Mackie) with illustrations by Kirsten Raagaard is out on 2nd April 2018, published by Wacky Bee Books. Next up, something special for folk who have loved the recent "Big Cats" programmes on BBC. 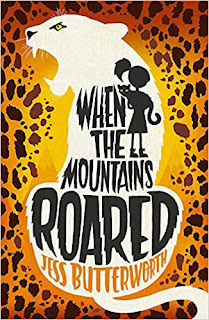 "When the Mountains Roared" by Jess Butterworth is an amazing adventure set in the mountains of India, about a girl who is determined to protect the wild leopards of the mountain from poachers. When Ruby's dad uproots her from Australia to set up a hotel in the mountains of India, Ruby is devastated. 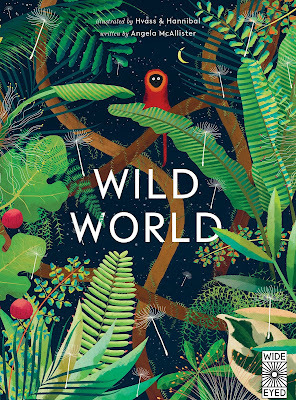 Not only are they living in a run-down building in the middle of the wilderness surrounded by scorpions, bears and leopards, but Ruby is sure that India will never truly feel like home - not without her mum there. But then the last remaining leopards of the mountain are threatened and everything changes. Ruby vows to do all she can to protect them - if she can only overcome her fears. 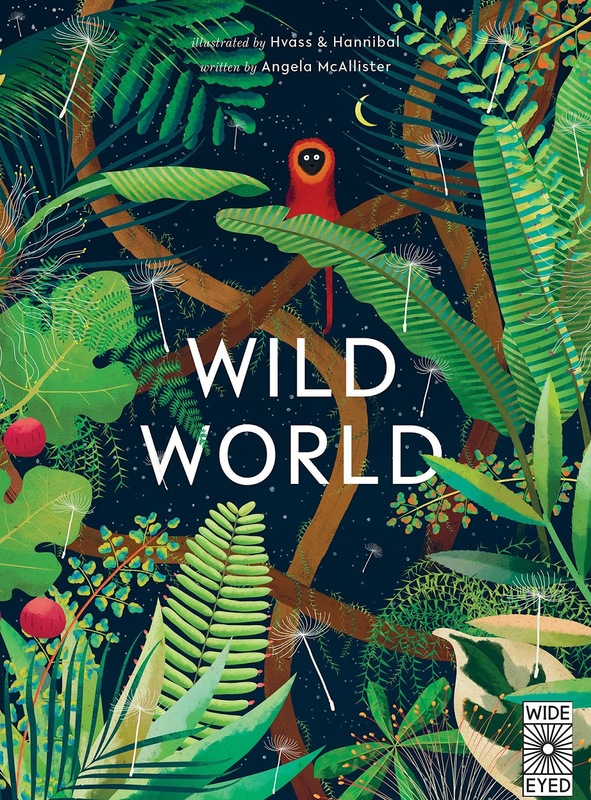 This is a rivetting read that will have you gripped, with a new mighty girl hero who overcomes many obstacles to save one of the most endangered species on the planet. 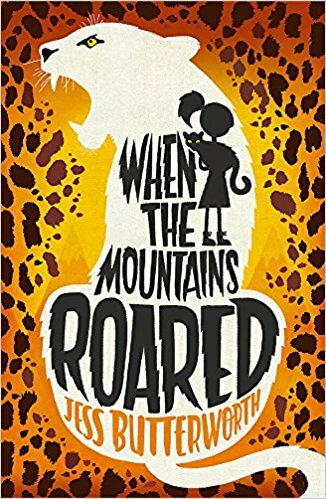 "When the Mountains Roared" by Jess Butterworth is out on the 5th April 2018, published by Orion Children's Books. Now something of a revival for a classic author whose works are just as popular now as ever they were at the height of her career. 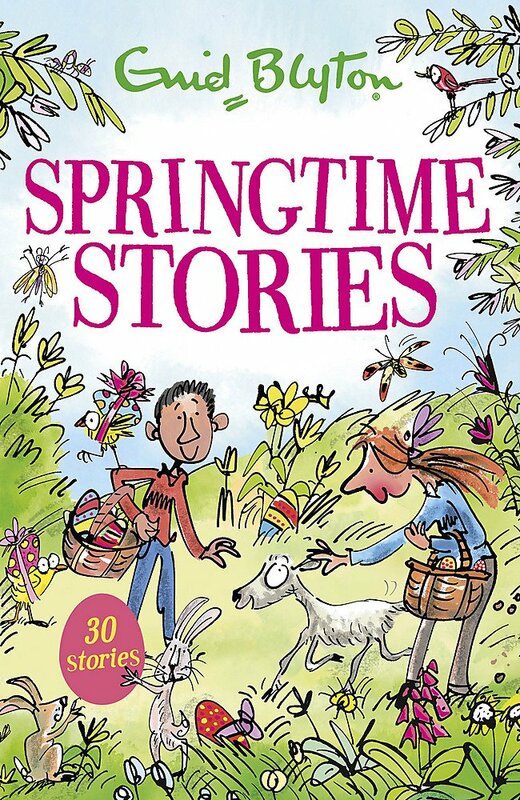 Enid Blyton's "Springtime Stories" are bound to lift your spirits and get you ready for (hopefully) nicer weather as the seasons subtly change from Winter to Spring. Head off on a sparkling springtime adventure with the world's best-loved storyteller. From the little boy who helps a lamb in trouble to the fairies hidden inside Easter Eggs, excitement and magic are never far away in this collection of stories to read and share. 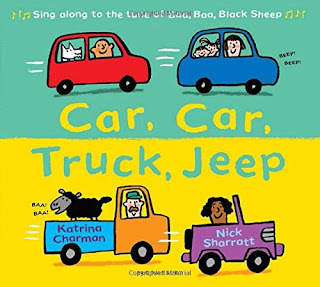 These fun, entertaining tales are ideal for newly confident readers and are the perfect length for reading aloud at bedtime or in the classroom. 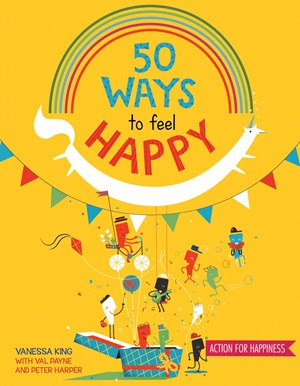 Enid Blyton remains one of Britain's favourite children's authors and her bumper short story collections are perfect for introducing her to the latest generation of readers. We absolutely love her "Mallory Towers" series so this was a really welcome addition to our Blyton shelf. 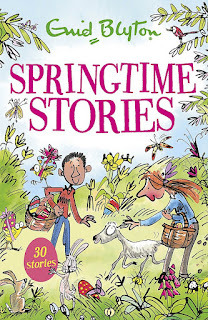 "Springtime Stories" by Enid Blyton is out now, published by Hodder Children's Books. 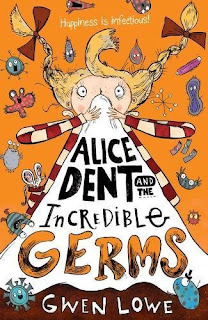 "Alice Dent and the Incredible Germs" by Gwen Lowe is a fantastic debut for this hugely talented new author. Gwen uses all her background and expertise in all things germy for a ticklish tale of Alice Dent. When Alice gets a cold, she has no idea how much trouble it's about to cause. This is no ordinary cold: it comes with some seriously extraordinary side-effects that could change Alice's life forever! But when the scary Best Minister for Everything Nicely Perfect tries to take Alice away, she realizes her troubles are only just beginning! It's full of tension, humour and excitement and you'll certainly have a new-found respect for anyone working in communicable diseases after this one. Now wash your hands! 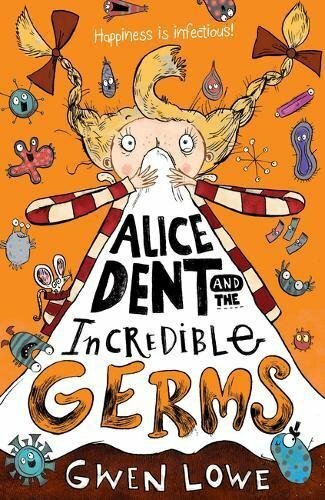 "Alice Dent and the Incredible Germs" by Gwen Lowe is out now, published by Chicken House Books. Next up, the return of a fabulous book series featuring a rather special little FairyVamp! "Isadora Moon Goes to the Fair" by Harriet Muncaster rejoins fabulous Isadora at one of our favourite places, enjoying all the fun of the fair. Isadora Moon is special because she's different. Her mum is a fairy and her dad is a vampire and she's a bit of both. Isadora is excited for her first ever trip to the fun fair, but when she arrives it's not quite as magical as she expected. Luckily, her cousin Mirabelle has a plan to make the fairground rides extra special. What could possibly go wrong? 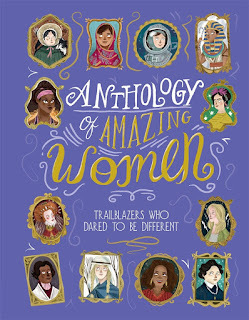 With irresistible pink and black artwork throughout by author/illustrator Harriet Muncaster and a totally unique heroine with an out-of-this-world family, this is the perfect book series for your youngsters who love collecting and reading stories with neat twists and a huge dose of originality. 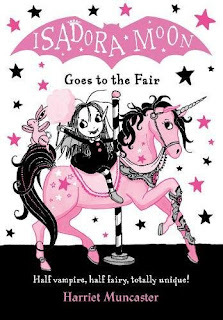 "Isadora Moon Goes to the Fair" by Harriet Muncaster is out now, published by OUP / Oxford Children's Books. 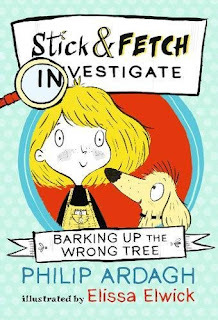 "Stick and Fetch Investigate: Barking up the Wrong Tree" teams up hilariously funny author Philip Ardagh with corking illustrator supreme Elissa Elwick for a fabulous whirlwind detective novel that's hopefully destined to become a much loved series. 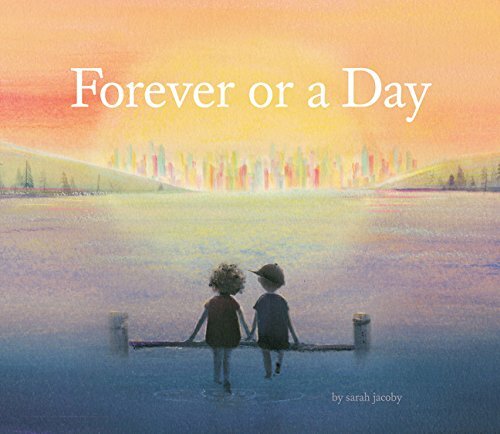 Sally loves nothing more than investigating a good mystery - and her shaggy canine companion Fetch loves nothing more than to be at her side when she does. There's just one small problem: they always gets the wrong end of the stick! The hapless pair remain undeterred, however, dashing from one crime scene to another on their bicycle, leaving a trail of destruction in their wake ... yet always emerging blissfully unaware. This sets up the tale to be absolutely brilliantly deadpan at times, with Elissa's illustrations adding to the fun. We love the fact that you get three stories in one book here, so there's plenty of fun to be had with this girl-and-pooch detective team. Just make sure you pack a decent hairbrush when reading! "Stick and Fetch Investigate: Barking up the Wrong Tree" by Philip Ardagh and Elissa Elwick is out now, published by OUP / Oxford Children's Books. "The Art E Conan Doyle Mysteries: The Vanishing Dragon" by Robert J. Harris is the second book in this fantastic detective series. Riffing on Sherlock Holmes adventures, with tons of awesome cameos and supporting characters, it's a mystery par excellence as Artie and Ham begin their investigations into a strange series of accidents. A world-famous magician, the Great Wizard of the North, is the subject of these strange mishaps. It seems someone is determined to sabotage his spectacular new illusion. 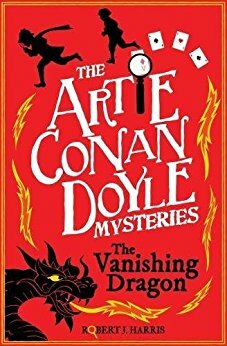 "The Art E Conan Doyle Mysteries: The Vanishing Dragon" by Robert J. Harris is out now, published by Floris Books / Kelpies. That's about all we've got time for in March. Join us again in April for even more amazing chapter book winners! See you then! 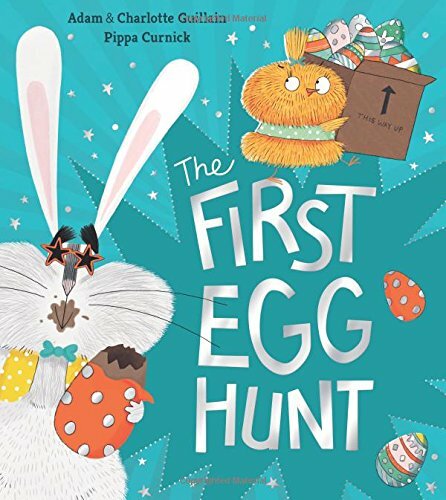 Our Easter Book Roundup - books instead of chocolate? What a good idea!! We're pretty sure that you're thinking ahead to this coming Easter Sunday, and all the chocolate you can eat. But how about including books in the mix? Sounds like a great idea right? 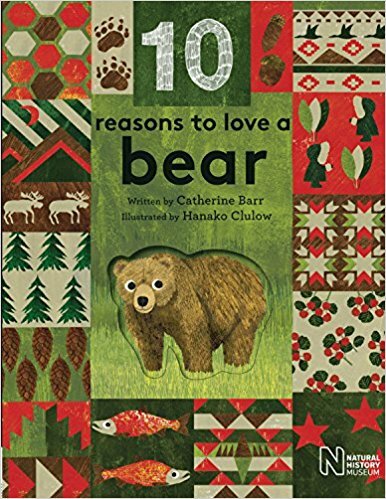 Catherine Barr and Hanako Clulow are back with more fantastic animal facts in a new set of "10 Reasons To Love" books, this time with added bears and whales! This week's ReadItTorial came from an incident that REALLY put my back up this week. 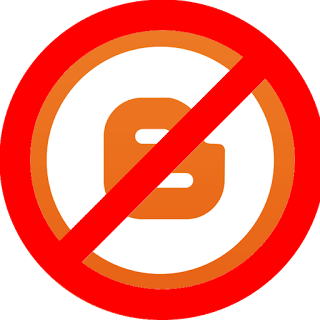 It all stemmed from an email to a company who (without naming names or going into too much incriminating detail) responded to a very polite inquiry with what amounted to a digital slapdown. The original email was a simple "Do you provide press or review kits? If so, we would love to write about one on our blog." We don't often send out emails to companies, but from time to time it's always worth a try - and most of the time in the past we've always received a favourable response. The response in this case was far away from favourable, it was downright rude and just contained the two lines. "Dear Customer" (note the impersonal response here - I had actually included my full name). "We don't work with bloggers"
...and that was it. I expanded the email expecting to see perhaps an attached press release, links to the site that the product was being sold from, at least a sign-off with a customer representative's name but no, that was it. Normally in my line of day-job work I brush off rude emails like this (and yep, as anyone will attest when you work in any line of technical support, you get a LOT of rude emails on a daily basis) but in my 'pseudo-alter-ego' book blogging life, we have never had a response like this before. Companies either politely decline, or respond favourably and happily send us review copy or kits with a few provisos that we'll actually write about the 'thing' in question. The real irony here was when I went to their site to check out the 'testimonials' section, expecting to see a lot of reviews from big posh broadsheets, well-established websites perhaps, but instead found a handful of customer testimonials from Facebook users instead. So there you go folks, random facebook opinions are worth more than blogger opinions, apparently! 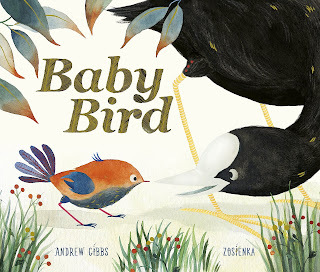 As usual, I went onto Twitter to have a whinge and a whine about it and was universally met with a sympathetic ear (mostly from authors who we've been lucky enough to review books from in the past). The email response really smacked of sheer ignorance, a complete lack of understanding of what bloggers do - and what an honest review can lead to. I don't want to sound like our blog has any sort of widespread reach or influence, but in general we've had some great feedback on our reviews and feel like we're sticking to our policies of being honest (brutally so at times) and not just in it for some sort of freebie grab. I think there's still a hardwired perception that this is what a lot of bloggers are in it for (and we've written about that perception of blogging in the past). There still seems to be a real lack of appreciation with some companies on how much time blogging takes, how articles are crafted and written, and most of all the reason people choose to write blogs in the first place. It's more than just sharing an opinion. It's also about a shared experience with your readers, those golden moments when you get a piece of positive feedback when someone tells you that your review 'sold them' on a book or an item - and then further feedback from them telling you how right you were. That's the real reward, that's definitely what we're both in it for and as C gets older, it's become more and more important to her to think that her opinions on books are appreciated by other people (I think this is the precursor to that teen 'need' for validation and identity far wider than your close circle of family and / or friends). We're not the sort of vindictive folk who would rubbish the company by name to anyone who'll listen (I've made sure that I've not mentioned the company by name in any of my rants) but boy oh boy I'll keep that email around to remind me that no matter how polite and pleasant you are, or how well-meaning you are, there's always someone who just doesn't get that at all. A sizzling, funny and brilliant rhyming sing-a-long book that is destined to be much in demand by your littlies. Turn the ignition and hop on board...! 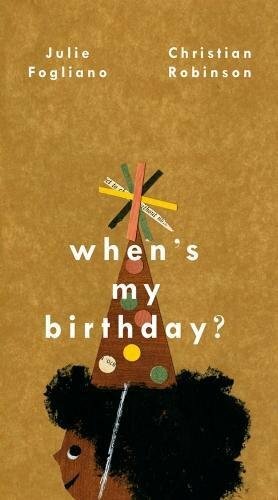 Posted by ReadItDaddy at March 22, 2018 Labels: Christian Robinson, Julie Fogliano, Walker Books, When's My Birthday? 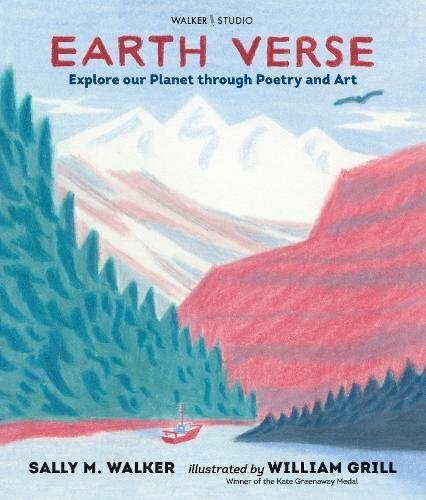 Take a breathtaking journey around this tiny blue orb we call home, with some incredible prose and illustrations from a very talented duo. If there's one trend we're seeing increasing in kids from early years upwards, it's the need to take time out and...just be kids. 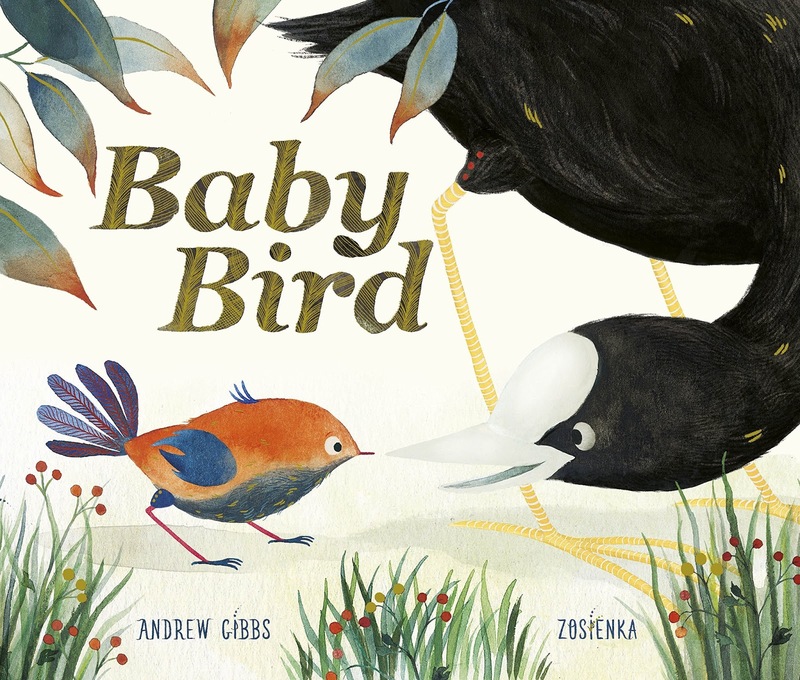 This certainly is a big book (so we made our header image nice and big to match). "A Big Garden" by Gilles Clement and Vincent Grave is perfect for this time of year, as spring starts to shyly emerge from winter's shadow, and all our gardens come to life. This beautifully prosaic look at the life of a garden - and the gardener who tends it is underpinned by the most stunningly detailed illustrations as we closely take a look at the seasons, and the months that herald their arrival. 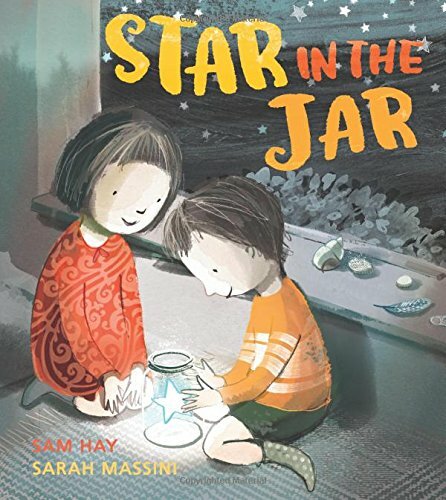 Part fact, part fantasy but so dizzyingly beautiful that you'll get completely lost in these amazing pages, each illustration full of quirky and whimsical moments that mean just one read through will never be enough. 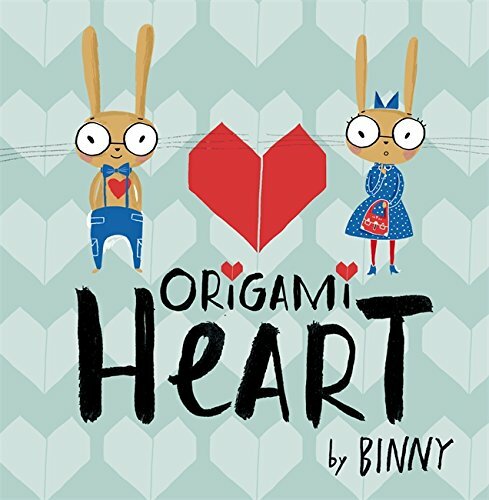 We spent hours with this one, laughing together at all the tiny little scenes as they unfolded (and of course marvelling at some truly corking end-papers too). 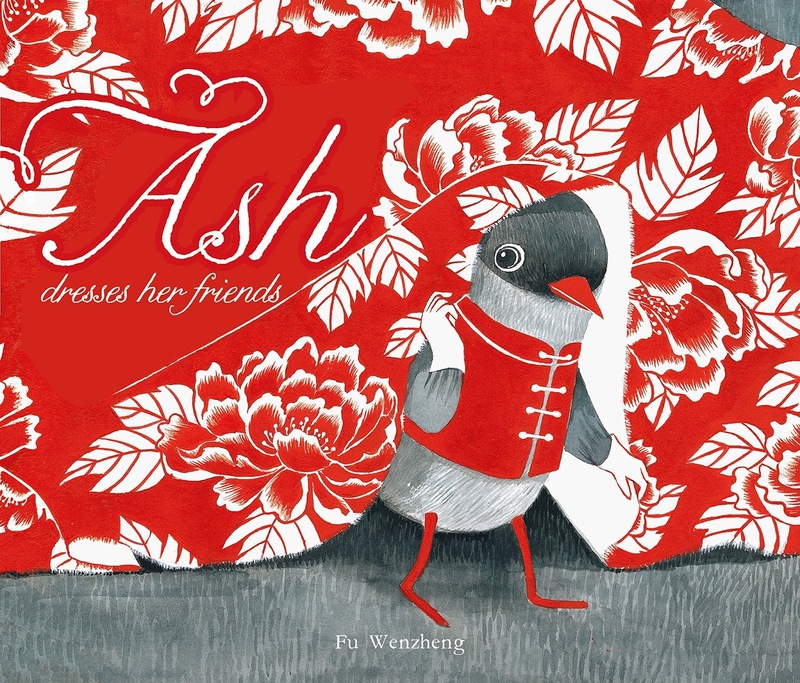 A very special book this, quite unlike anything we've seen before. 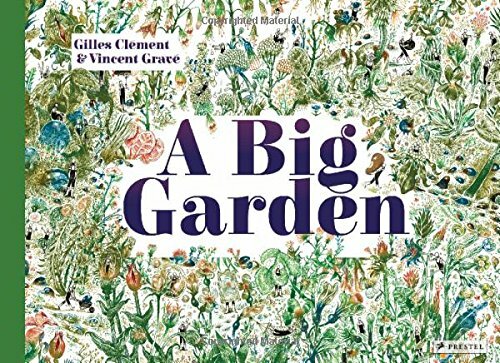 "A Big Garden" by Gilles Clement and Vincent Grave is out now, published by Prestel Publishing (kindly supplied for review). 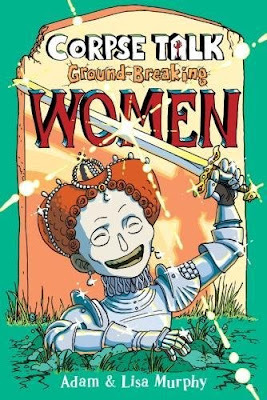 Powering up with four recent comic acquisitions featuring thoroughly mighty women. Comics have changed for the better, and it's about bloomin' time. Despite the continued issues we have with fragmentation of story arcs and the general confused mess that sometimes confronts you when you show interest in a particular series, it's sometimes worth doing a bit of digging and picking up a few titles regardless. 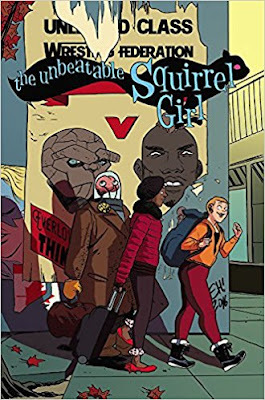 We've been huge fans of "The Unbeatable Squirrel Girl" for a long time on the blog, finally hoovering up the missing volumes and 'catching up' with this fantastic series. Doreen Green AKA Squirrel Girl just happens to be a super-powered college student who can talk to squirrels, can pretty much duff up anyone else in the Marvel Universe - but quite often finds her foes throw in a curve ball to keep her on her tippy-toes (sorry, terrible pun there) with each and every collected issue. Recently we've seen her taking a holiday with her room-mate to stay in a remote cabin in Canada ("NO WI FI? NO INTERNET? HOW AM I SUPPOSED TO TAUNT TONY STARK OVER TWITTER?") only to find the cabin sits on top of a bizarre colony of mini criminals who can break apart and reform into bigger / smaller versions of themselves at will. As they begin to slowly take over the world, it's up to Squirrel Girl, Nancy, Squirrel Girl's mum and...er...Ant Man to stop this nefarious menace. Tons of action, loads of silly humour but a superb mighty girl feel, this series just gets better and better (as do Squirrel Girl's tweets about hanging around with superheroes / villains). "The Unbeatable Squirrel Girl: Like I'm the only Squirrel in the World" (Volume 5) by Ryan North and Erica Henderson is out now, published by Marvel Comics. If you can imagine a universe where Deadpool is somehow gene-spliced with a candy-coloured version of Gwen Stacy from Spiderman, and given the same devil-may-care uber-violent but fun-loving personality of Mr Pool, that's where you'll find yourself with this quirky but fabulous comic. Of course, this hampers this "Ms Merc with a Mouth" in her attempts to work her way into the criminal organisation of one of Marvel's nastiest supervillains, the big-headed bad-attitude dude Modok. Weirdly, Gwenpool somehow manages to take out Modok's chief hitman, putting herself up for the job as his replacement. 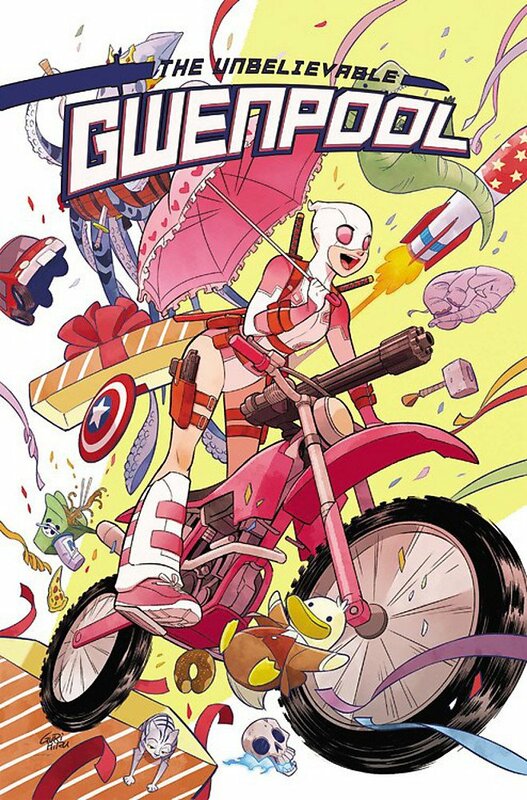 There is a snag though, Gwenpool doesn't actually have any discernible superpowers aside from an affinity with things that explode. This is a superb series, and we dipped into it only meaning to grab the one collected issue - but now want to read the rest. If you like the smart (and quite violent) side of Deadpool but want to do without all the ickiness, this could be the series for you. "Gwenpool" by Christopher Hastings, Gurihiru, Danilo Beyruth and Tamra Bonvillain is out now, published by Marvel Comics. Moving on to a series that could've been MADE for us. 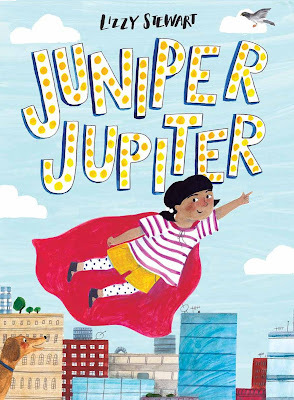 A super-smart girl who loves science, but just happens to be the daughter of one of Marvel's biggest (smallest) heroes? What's not to like? "The Unstoppable Wasp" by Jeremy Whitley and Elsa Charretier opens with the daughter of Hank Pym, Nadia, emigrating to the US. After years of growing up in the "Red Room" (the assassin academy regular Marvel fans will remember as also spawning Black Widow) Nadia is ready to embrace western culture, but also to set up a Science Academy for other superpowered girls like herself - girls who can bend science to their will in order to fight crime and injustice. The first volume collects together issues 1-6 and sees Nadia on a recruitment drive that doesn't quite always go to plan. We really loved this one, not least of all because of Nadia's effervescent enthusiasm for just about EVERYTHING, with some rather cool interactions early on with Ms Marvel (setting things up nicely for a complete EXPLOSION of all things Ms Marvel later on this year, watch the skies) and Moon Girl (the smartest pre-teen on the planet who also happens to be friendly with a colossal bloodthirsty dinosaur from beyond time). It's whip-smart storytelling with glorious art, and another series we're in it for the long haul with. 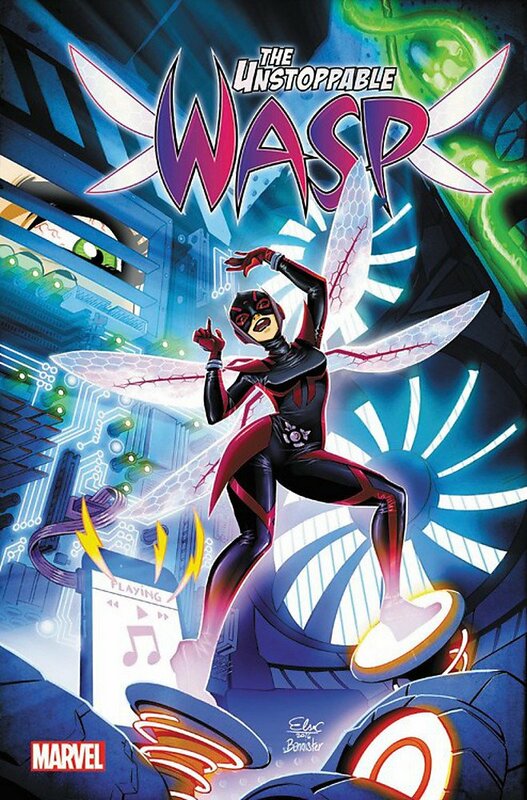 "The Unstoppable Wasp" by Jeremy Whitley and Elsa Charretier is out now, published by Marvel Comics. "Star Wars: Princess Leia" Mark Waid and Terry Dodson pick up right where Star Wars Episode IV left off, in fact right there in the ceremony room where Luke, Han and Chewie all get their medals for blowing up the Death Star. But we all know that even in the extended Star Wars universe, life is never as simple as it seems and Leia is swiftly drawn into a mission that will throw her into a team-up with a shadowy rebel pilot who really doesn't seem to like royals at all. This is a fantastic romp, almost feeling at times like those cool saturday morning serials from the dawn of cinema. 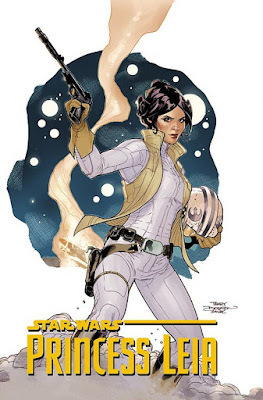 "Princess Leia" by Mark Waid and Terry Dodson is out now, published by Marvel Comics. Here's a delightful little tale of a happy-go-lucky little bird with an exceptional talent....Meet Ash! 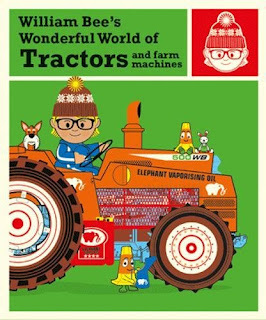 Our Chapter Book of the Week is a gorgeous sequel to a book I must admit I haven't read in years, possibly 43 years to be precise...! 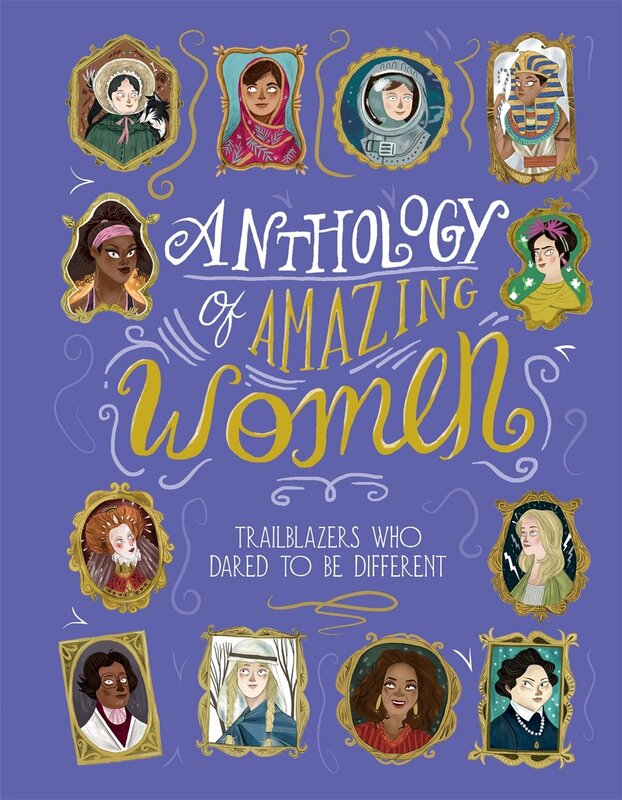 In this centenary year where we mark the 100th anniversary of the end of women's suffrage, it's fantastic to see so many books arriving that mark the achievements and soak up the inspiration of amazing women from history - and indeed today! This week's ReadItTorial all started with an email. 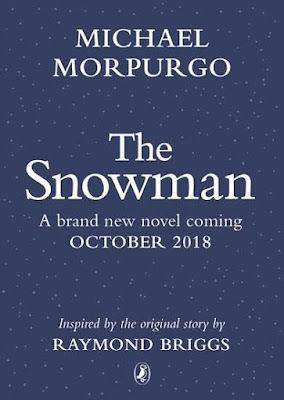 A promotional email announcing the exciting news that none other than Sir Michael Morpurgo was about to respin a VERY well loved classic children's picture book into a middle grade novel. 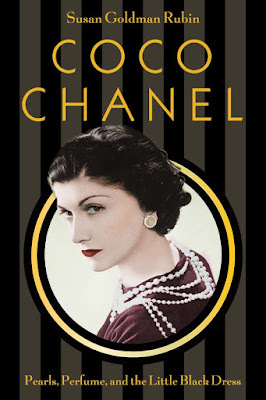 Eyebrows were raised, exclamations were uttered but we shrugged and sighed - mostly because this isn't exactly a new thing, and this year we've seen quite a few classic books either get a 100,000 mile re-tread, sequels, prequels or new books inspired by the original story or stories. This is probably the first time we've ever seen a wordless picture book turned into a middle grade novel though, and despite the talent involved (and, seemingly, Raymond Briggs' blessing - or at least his appreciative wallet) it's led to something of a Twitterstorm. 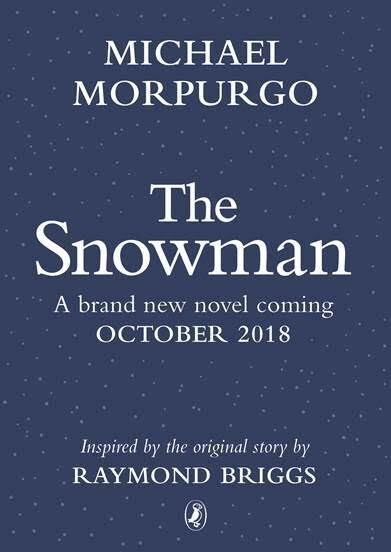 Most people seem genuinely excited for any new offerings by Michael Morpurgo (rightly so, he's an extremely talented author whose books are enjoyed by all ages - even my mother in law who is in her 70s). Quite a few shared my view though, and it's a view partly tilted not only by the unmatchable original tale of a young boy who makes a snowman, and goes on a magical night-time adventure - but possibly by a lot of happy memories of the peerless animation that appeared on Channel 4 right at the beginning of that channel's existence. Childhood memories of the original aside (and it is a book we've revisited and enjoyed with our daughter) both my wife and I thought the same as many other Twitterfolk, that turning a book that tells its beautifully constructed tale purely through illustration would take a heck of a miracle to work as a middle grade text. We've got till October to find out how that'll work, but in the meantime "The Snowman" isn't the only classic being revisited this year. 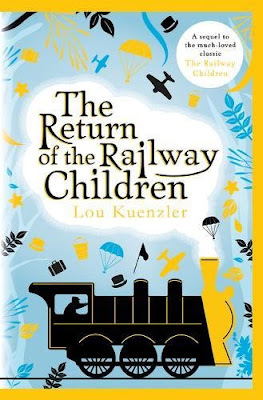 We've also just reviewed "Return of the Railway Children" by Lou Kuenzler, following on from the original E Nesbit book and ushering in the 50th (aaaghhh) anniversary of that sublime slice of railway-based escapism. 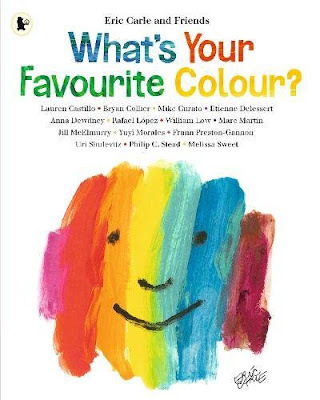 The new book does a pretty good job of capturing the essence of the original, but it also made me think the same as the above idea. These are essentially new books treading on the toes of the originals to cash in on nostalgia, purely aimed perhaps at adults who would buy a book they'd loved as a child for their kids, and certainly try something new that followed the same stories and characters. Recently C has been engrossed in the Mallory Towers novels by Enid Blyton. She read through the original books voraciously, and has now moved on to Egmont's recent additions to the series, making quite a few pointed comments about the differences between the original novels and the new 'updated' ones. Do we really need to constantly spread that rich butter of classic stories so painfully thin over new plots though? Are these books rising to the surface while truly ground-breaking new and original stories sink to the bottom? 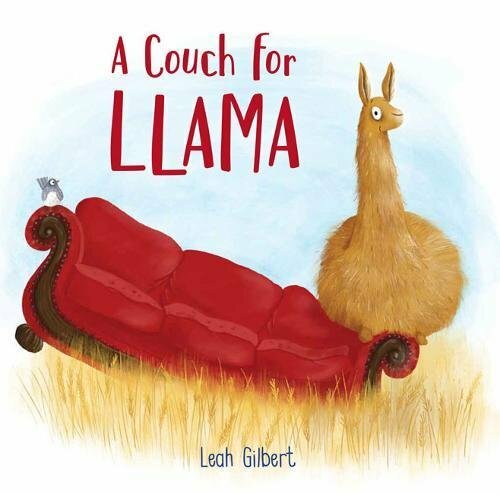 I think that's the saddest aspect of all this for me, that struggling debut authors are not going to get their chance purely because a well-established 'bankable' author wrote a treatment of someone else's original idea, and that's going to grab the marketing and editorial slice for that given release window. 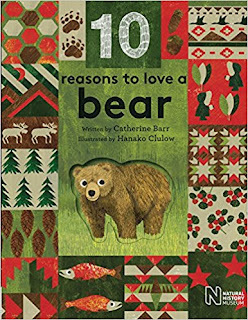 We love clever books, and kids of all ages love a book that goes beyond the flat two-dimensional confines of a traditional book. 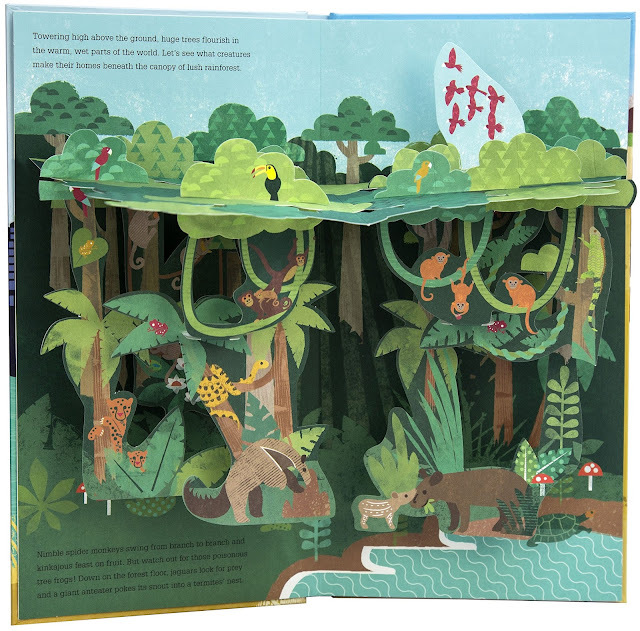 Egmont's two fantastic natural history titles "What's Below" and "What's Above" both written by Clive Gifford with illustrations and paper engineering from Kate McClelland really bring the world to life in a fantastic and innovative way. 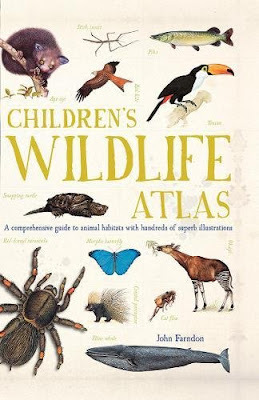 Each diminutively-sized book packs a heck of a lot of information into each page spread, as well as the most glorious pop-up scenes showing everything from the underground habitats of bunnies, to the deep blue oceans of the world where whales and dolphins thrive. The lush green canopy of the rainforest, and all the animals and plants that live there. 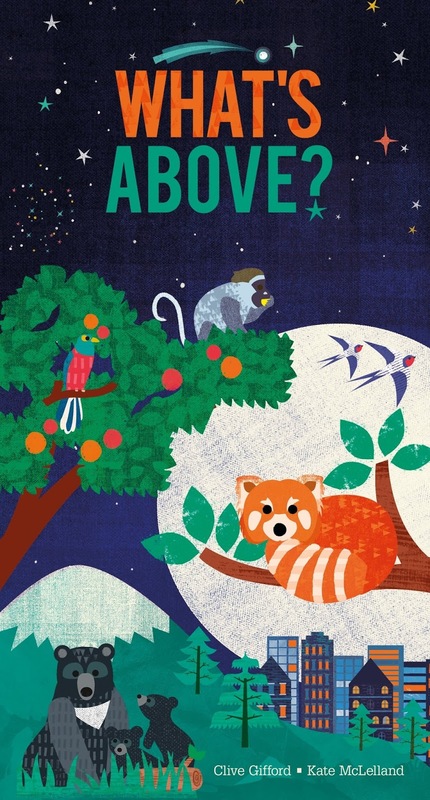 "What's Above?" 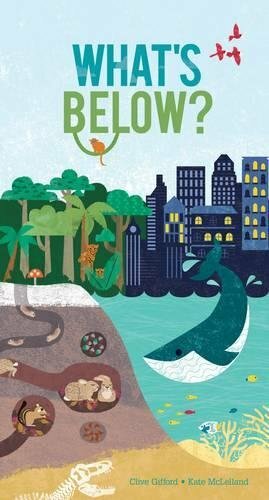 and "What's Below" by Clive Gifford and Kate McClelland are both available now, published by Egmont (kindly supplied for review).